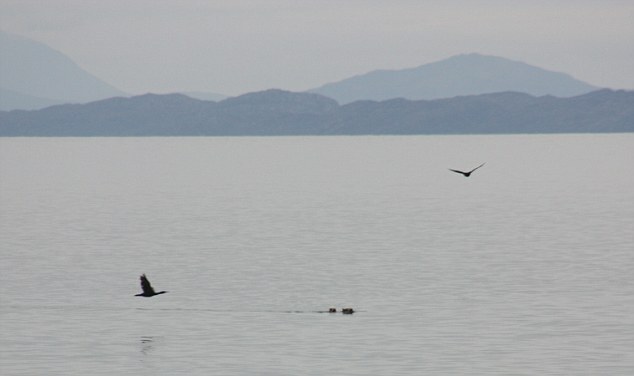 Home > News, Pics	> Pigs can’t fly, but they can swim!!!!!! Pigs can’t fly, but they can swim!!!!!! I first heard about this news from the radio news broadcasting. Then I went… awwww, how cute the piglets are. I bet the owner will not leave them alone again anymore. TEEHEE. 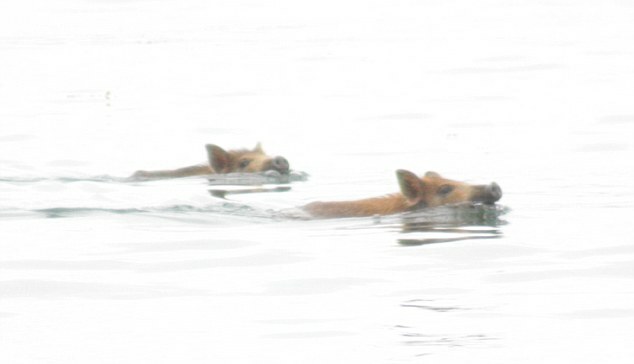 Pigs can’t fly – but this pair of homesick Tamworth boar crosses can certainly swim. 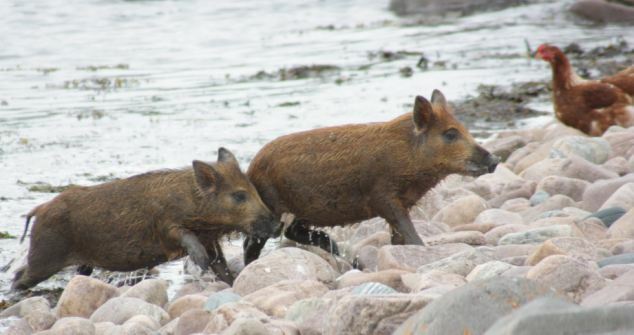 They took to the water like pigs to mud after they were put out to pasture on the uninhabited island of Longa off the North West Scottish coast. Named Mary and Truffle by their owner, James Cameron was startled to discover they had returned home the day after he left them and their swim across the sea was caught on camera. Holidaymaker Jay Goss, 31, watched in amazement from his parents’ seaside cottage at Big Sands in Wester Ros. He called Mr Cameron to tell him he had the two pigs but he thought it was a joke at first. He said: ‘We have six piglets, or weaners, at the moment and we decided to put two of them out to Longa. ‘We normally put sheep over to the island and we thought the pigs would like it. There is plenty of rooting material and fresh water. ‘We put them out at 6pm on the Thursday evening and on Friday about 8pm I got a call to say “Your piglets have just swam back home”. His wife, Marie said: ‘Holidaymakers at the campsite make a great fuss of the pigs and I think they just missed the company – and feeding time. People are always giving them food.